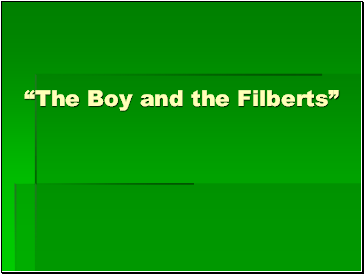 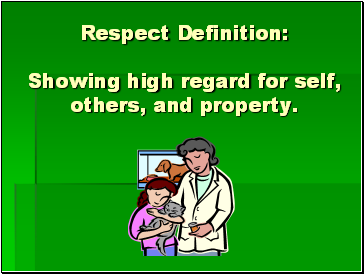 Showing high regard for self, others, and property. 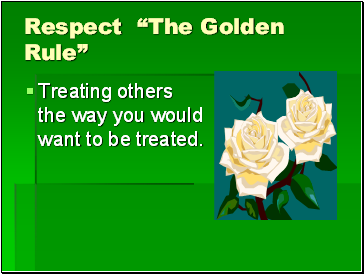 Treating others the way you would want to be treated. 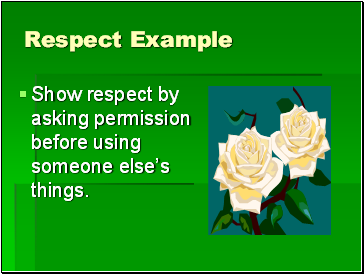 Show respect by asking permission before using someone else’s things. 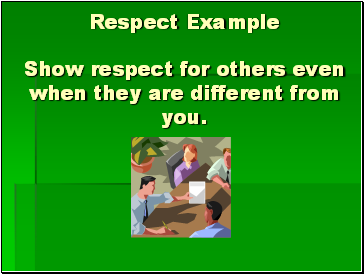 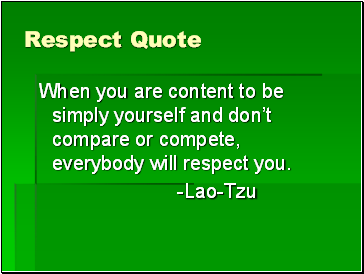 Respect Example Show respect for others even when they are different from you. 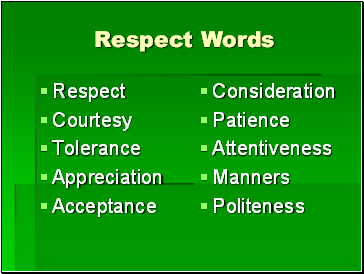 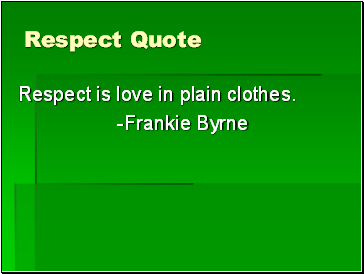 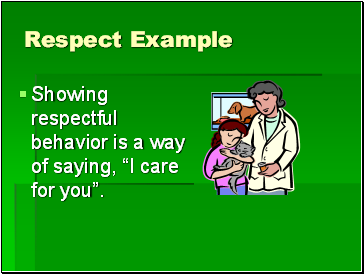 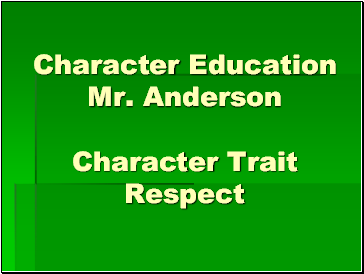 Showing respectful behavior is a way of saying, “I care for you”. 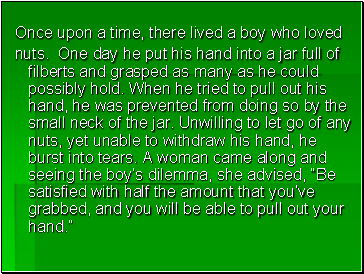 unless you’re helping him up. 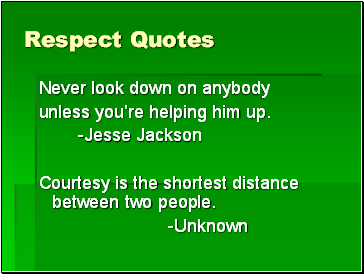 Courtesy is the shortest distance between two people.